The late Imperial Era rarities are currently open for bidding, with auctions ending April 14 and 21. 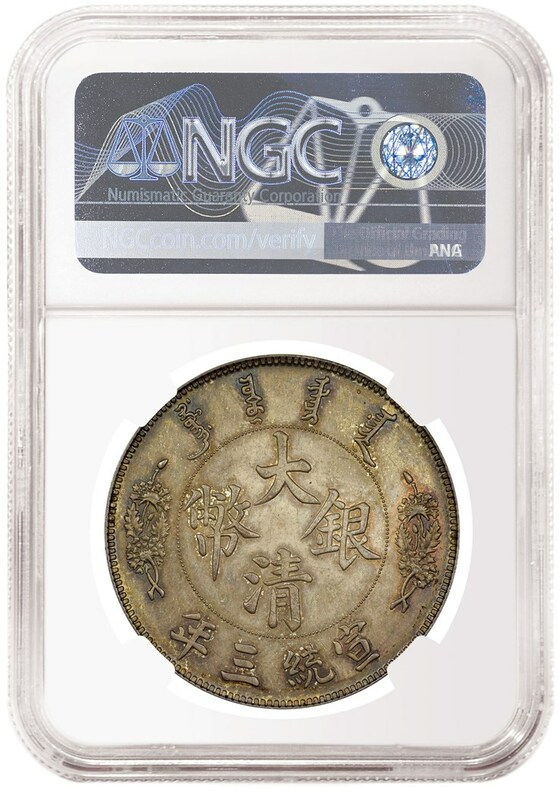 Numismatic Guaranty Corporation™(NGC®) is pleased to announce that it has authenticated and graded a major collection of vintage Chinese coins. Dubbed the Cherrywood Collection, the group of rare coins, including bronze and silver patterns, was housed in a small cherrywood box and has not been seen in the marketplace in over a century. 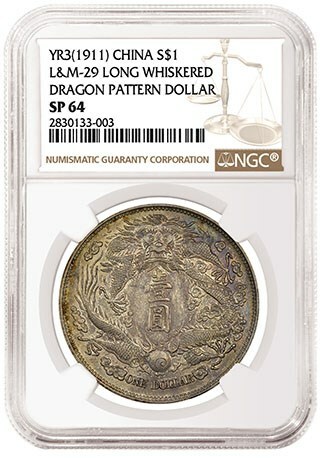 Year 3 (1911) Long-Whiskered Dragon Silver Dollar Pattern, L&M 29, graded NGC SP 64. 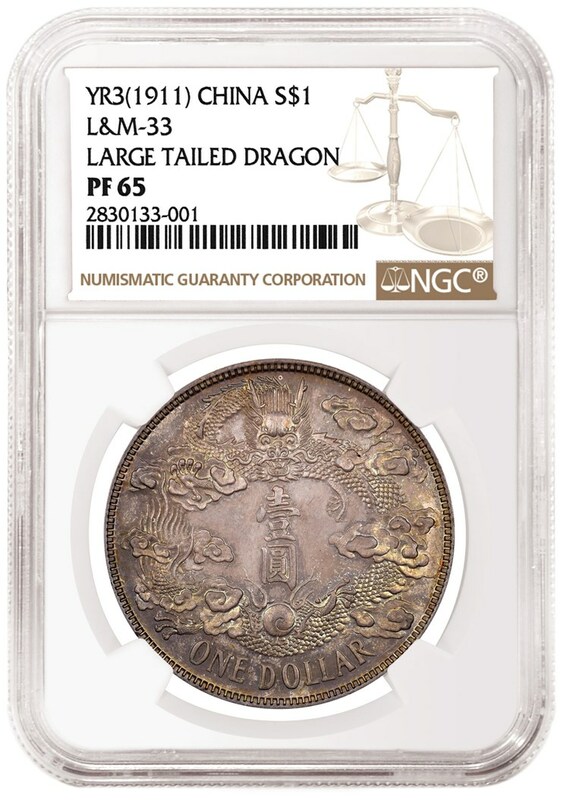 The NGC PF 65 Large-Tailed Dragon Pattern is the first example of this variety to appear in any major auction in over 10 years and it is the finest certified by a full two grading points. The coin exhibits attractive original toning from the small manila envelopes that housed the coins for the past 100 years. The L&M 29 Long-Whiskered Dragon Pattern is another important member of the Flying Dragon Dollar pattern series and only seven coins have been graded in all grades. The example recently graded NGC SP 64 ranks among the finest known. A special brochure has been prepared for this collection and is available by request. Please telephone 1-800-442-6467 (+1-949-679-4180) or e-mail info@greatcollections.com. GreatCollections will be attending the Hong Kong Coin Show to be held at the Mira Hotel in Kowloon on March 29-31, 2019 and will have all coins from the Cherrywood Collection on display at table B21. They will also be on display by appointment at GreatCollections’ Irvine office. To find out more, please visit www.greatcollections.com or telephone 1-800-44-COINS (+1-949-679-4180). 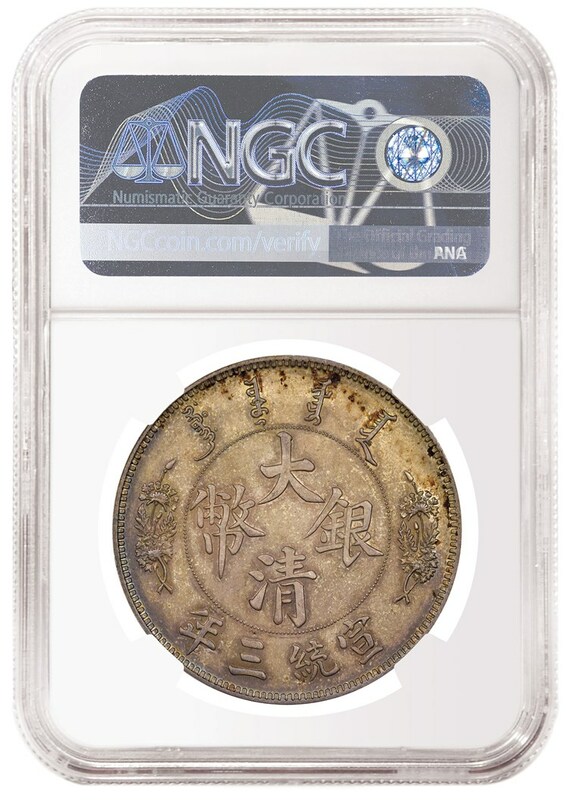 NGC is a leading third-party coin authentication, grading and encapsulation service with more than 43 million coins certified. 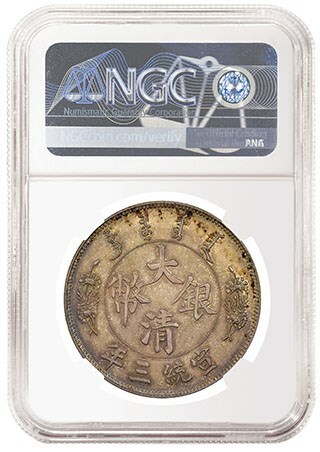 Founded in 1987, NGC backs each graded coin with the comprehensive NGC Guarantee of grade and authenticity. Our reputation has been built on providing the high level of confidence and trust our customers expect. GreatCollections is an auction house for certified coins and paper money, as well as coins approved by CAC with sales exceeding $30 million over the past 12 months. GreatCollections handles each coin/banknote transaction from start to finish. For sellers, GreatCollections offers professional imaging for each coin/note, cash advances as appropriate, and other individualized services generally not available with the large auction houses and other websites, freeing the seller to do nothing except collect the proceeds of the sale. Buyers benefit by entrusting a venue whose principals have years of numismatic experience and whose reputations in the industry are impeccable.